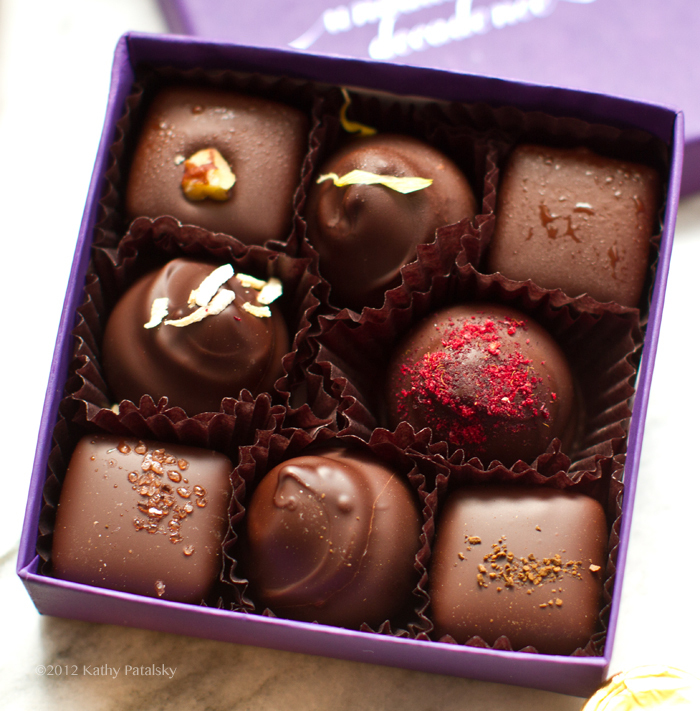 Vegan confections like peanut butter cups and elegant gourmet truffles are a delicious idea for a holiday gift - for just about anyone .. vegan or not! 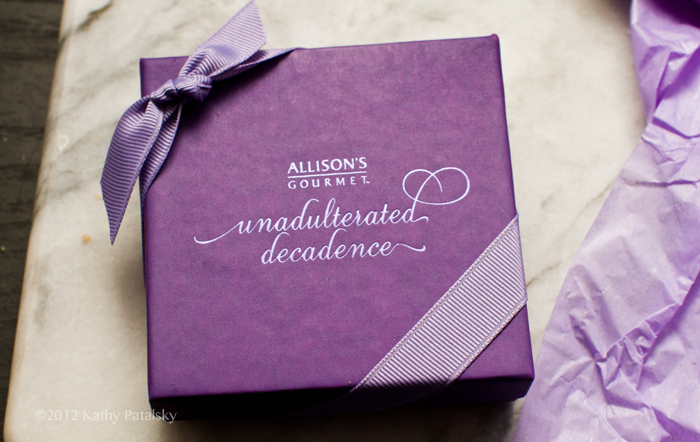 Check out my review of Allison's Gourmet and enter to win a $25 gift card good towards any purchase in Allison's online store. See why Allison holds the title: "Maven of Mmmmmmm..."
And that is why I am happy to offer this Allison's Gourmet review + giveaway to you guys. 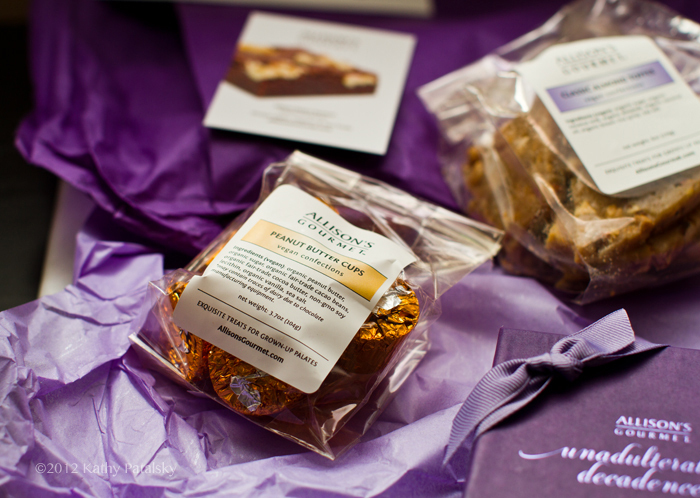 Any of Allison's vegan treats would make a superb holiday, hostess, work or "just because" gift for the holidays and into the new year. Just check out her website to peruse the goodies and then enter the giveaway below for your chance to win a $25 gift code for anything in Allison's online store. Review. 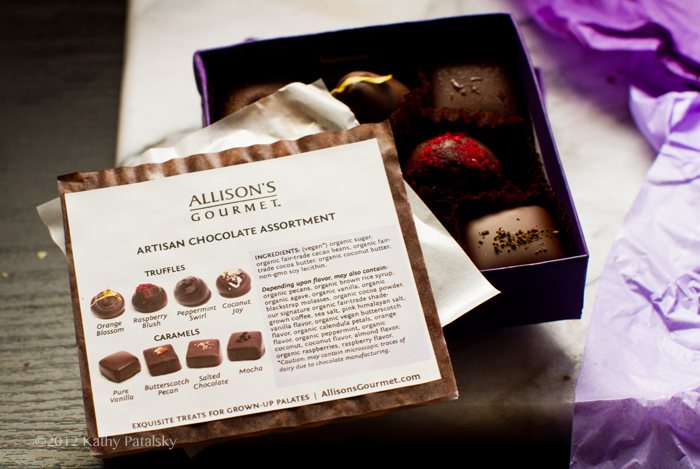 I have tasted a few of Allison's treats in the past and they are always AMAZING. But this past week I tried the toffee, peanut butter cups and truffles for the first time. I have to say, the peanut butter cups may have been the best I have ever had. My reasoning is because they were not "too sweet" and you could really taste the pure peanut flavor mingling with the creamy vegan chocolate. Sometimes all you taste in peanut butter cups is the sugar, but the creamy peanut butter, silky and nutty, was the star of this confection show. 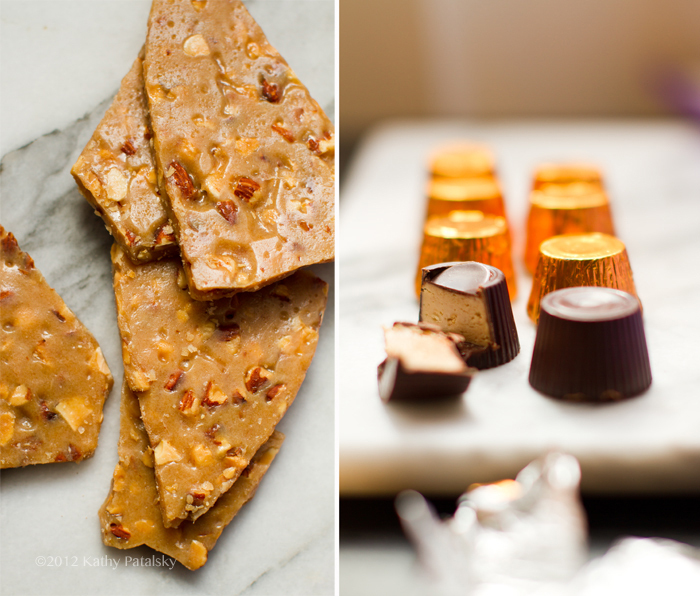 The vegan toffee was super buttery, sweet, crisp and air-y. I loved it. And the truffles were such a treat. Super high quality and gourmet. They had very rich chocolate centers, but the distinct flavors of each truffle still came out in each bite. 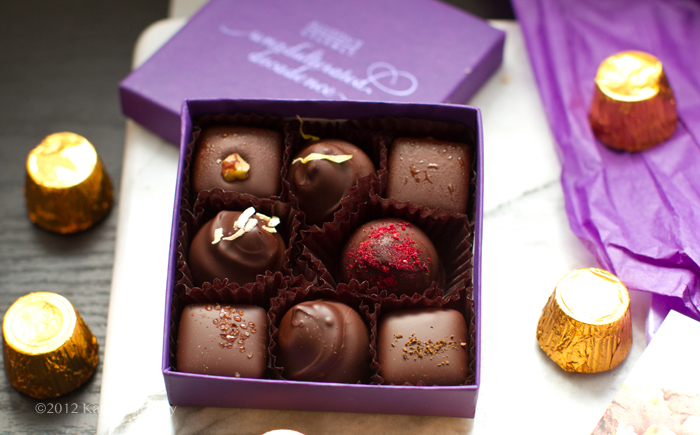 From raspberry to mocha and salted caramel - each truffle was uniquely heavenly. 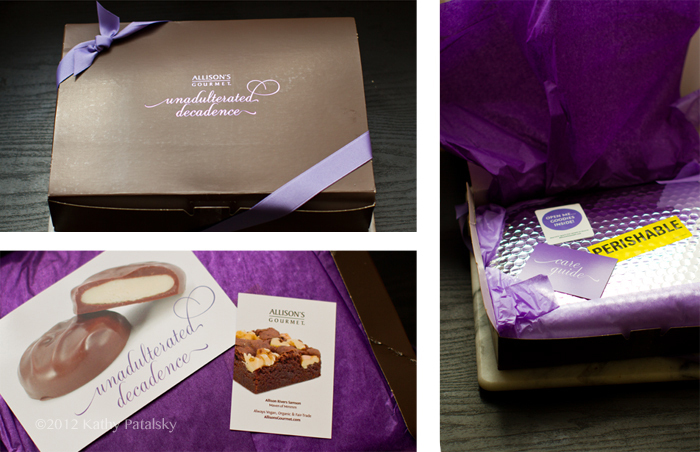 This cute purple box would make a very elegant gift. So if you love delicious treats (or just want to try some vegan treats to wow your guests!) give Allison's a try.